Angry Alexandra residents say they will boycott the upcoming May 8 elections should their demands for improved service delivery not be addressed. Dozens of them are marched to the City of Johannesburg’s regional offices in Sandton, to hand over a memorandum of demands. Traffic has been severely affected as police closed off many roads to allow for the protestors to march. Residents took to the streets from Wednesday last week in protest over the mushrooming of illegal dwellings in the area which they say impact on the delivery of services for residents. Community member Dumezweni Kulashe says, “There is a possibility of the elections being boycotted if and only if those demands are not met. At least now, we see David Makhura is also interested in coming and addressing the people of Alex and so is the president. So now the question is why now because all along we have been crying about these things, so why now? 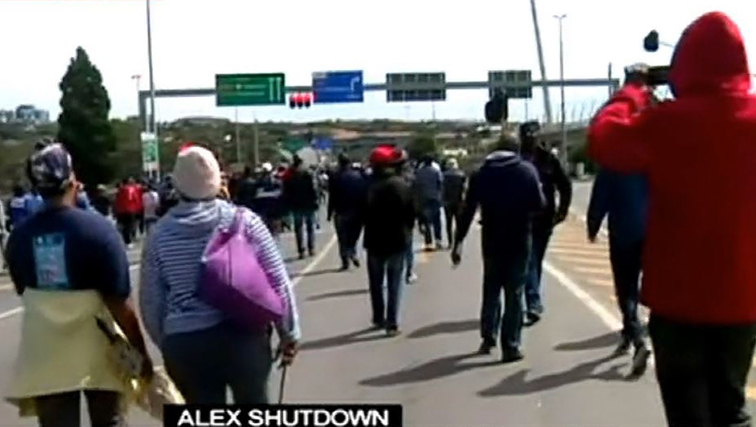 The post Alexandra residents threaten to boycott elections appeared first on SABC News – Breaking news, special reports, world, business, sport coverage of all South African current events. Africa's news leader..